Liveliest looking corpus I ever saw. Oh, and very delicti, if I may say so. Now, this is much more like it. 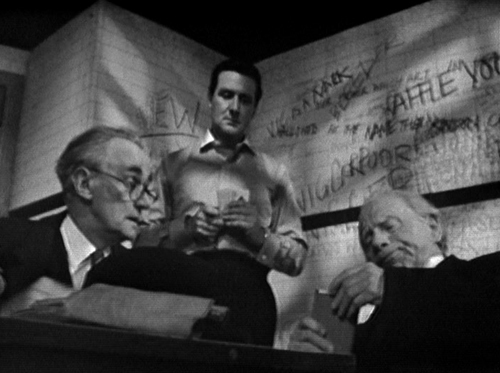 Brief for Murder comes courtesy of the reliable duo of writer Brian Clemens and director Peter Hammond. 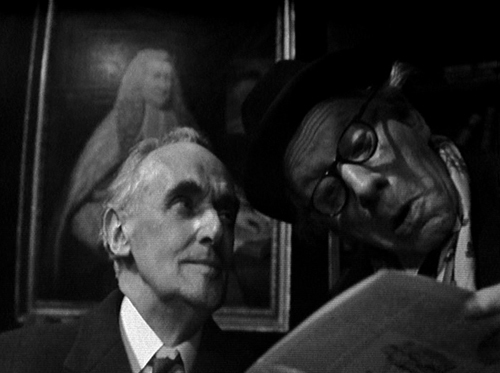 John Laurie, in the second of four Avengers appearances, is on inimitable form as one half of the Lakin brothers, a legal duo who have met with spectacular court room success after years of obscurity. It seems the only thing previously stopping them was their approach; I had half-expected some diabolical mastermind or intricate device bolstering them. But no, they’ve simply hatched the idea of defending those for whom they have planned crimes in advance, thus anticipating and undermining the prosecution’s case when it comes before the jury. 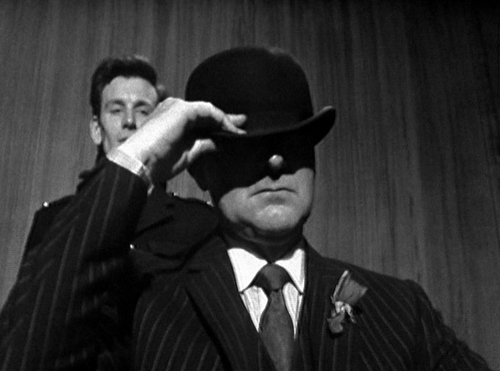 Steed: I want to commit a murder. Miles Lakin: (offering him tea) One lump or two, Mr Steed? 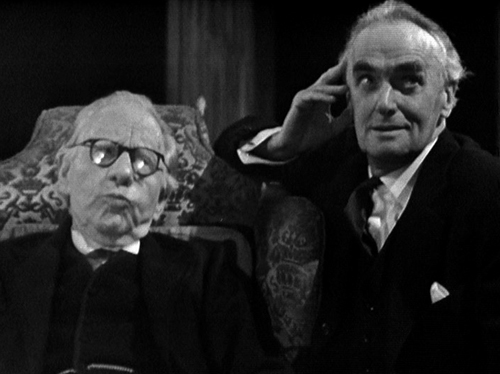 Miles Lakin: (apologising for having Steed searched) Tape recorders, you know. They make them devilishly small these days, heh, heh, make everything smaller. Steed: Except lawyers’ fees, maybe. Miles Lakin: Oh. Ho-ho. Very good. 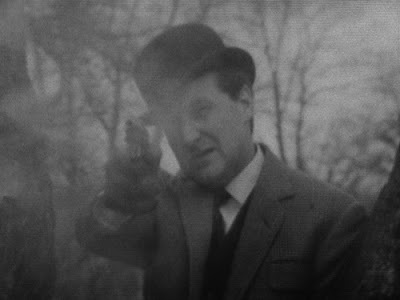 As is not infrequently the case, one or other of our avenging duo appears to be operating on the wrong side of the law, and also looks to be intent on killing the other. 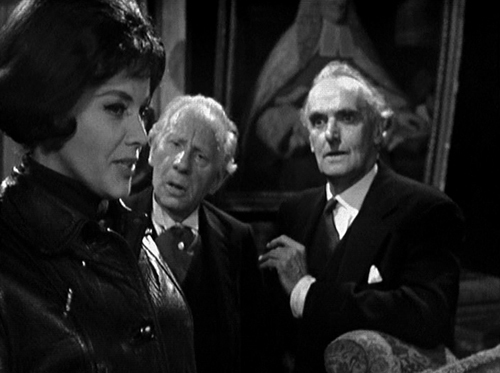 There’s some flair to the ruse here, with a winning opening reveal that Steed, or Jonno (“I wonder if there really was a man called Jonno”), got the accused off. 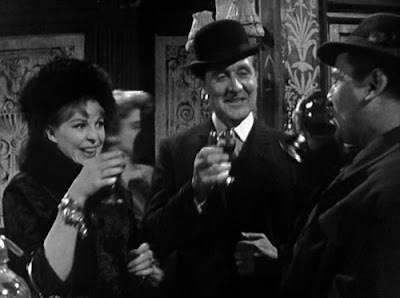 When Cathy finds out, Steed calls on the Lakins to facilitate her murder and ensure an innocent verdict in the subsequent trial (thanks in part to an oversized bowler hat); with no hat, no gun, and no body, he is scot-free. 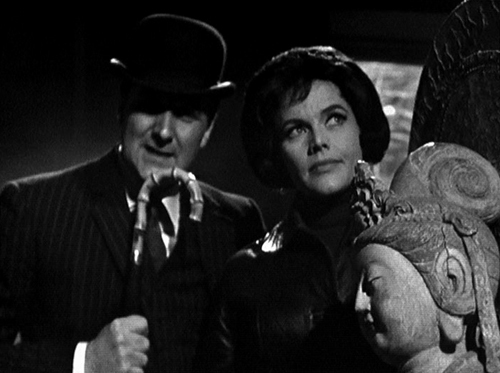 Well played this, as even though it’s pretty much a cert that they’re knowingly working together, Macnee and Blackman create sustained tension. Cathy then calls on the Lakins (possibly careless of them not to know what their client’s victim looks like, but we’ll let that go) to aid and abet her in a fraud and business conspiracy, whereby she wishes to emerge exonerated while her two associates are implicated (“Why didn’t we think of this before? We could get anyone we wish disbarred. 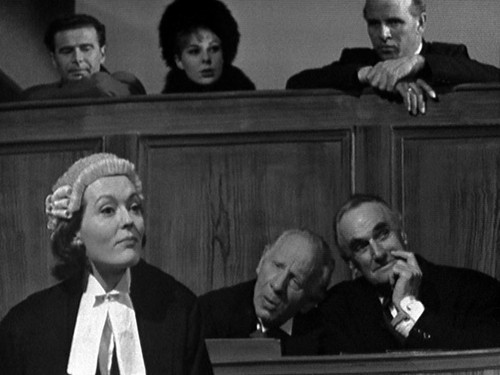 We could manipulate the whole courts system”). 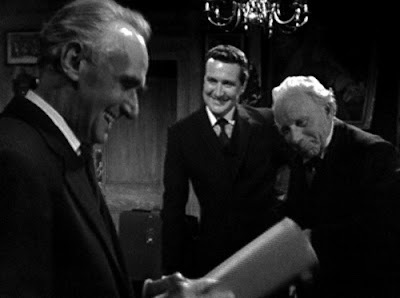 Perhaps the means of getting one over on the Lakins isn’t quite as elegant as their own handiwork – they’re so diligent elsewhere that they shouldn’t fall for an elementary subterfuge – but Brief for Murder is pretty much a blast from start to finish. 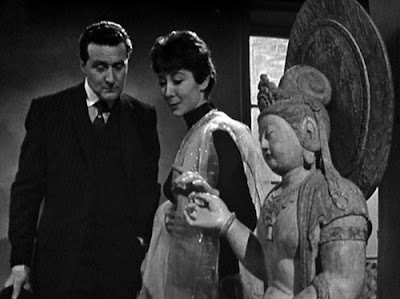 Which includes Steed visiting a yoga establishment where he is asked by principle Miss Prinn (Alice Fraser) if he believes in purity (Steed: A couple of baths a day, good soap”; Miss Prinn: I was referring to the spirit”; Steed: “I’m not so up in the spirit. A little sullied”).